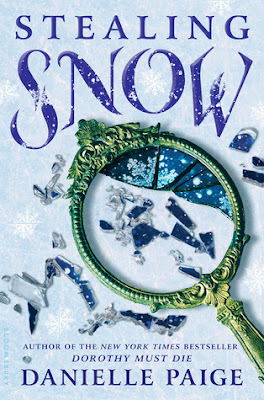 Stealing Snow is the first book of a series about a girl, Snow, who has been locked up in a mental asylum although she is not crazy. She later finds out that she is a snow princess and goes on a quest to save her friend Bale and her people. I went in to this book with high expectations because I really enjoyed Danielle Paige's other series, Dorothy Must Die. However, this book kind of went down hill for me. There were a few plot twists in the end of this book and I think that made this book bearable...A.K.A I will be rating it at least more than a star. Overall, I was really disappointed with this book. I expected much more from Danielle Paige. This book had no character development, no originality, and nothing just stood out to me. Unfortunately this is the most disappointing book in 2016 for me. I rate this book a 2.5/5 stars. If you liked it, then great! Everybody has different tastes and we just have to accept that. I was just not personally able to enjoy it that much.